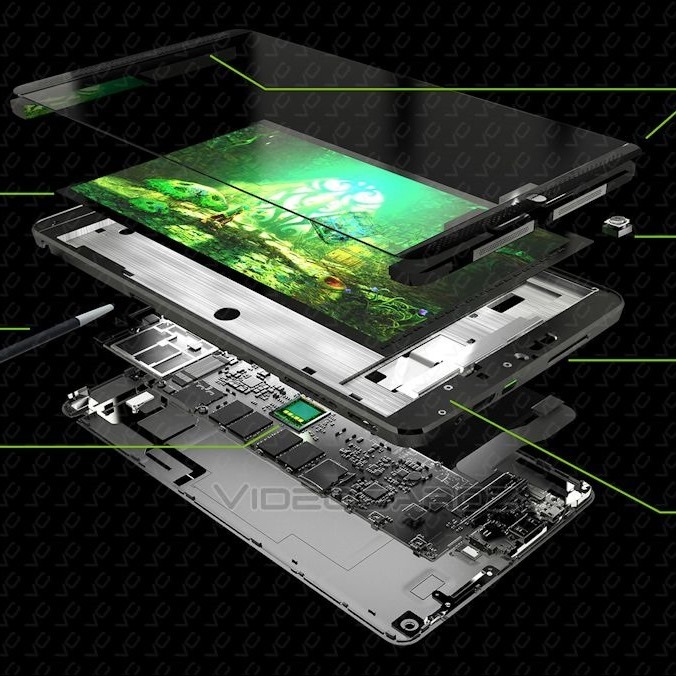 [Weekend Poll] Will You Buy NVIDIA's Upcoming Shield Tablet? 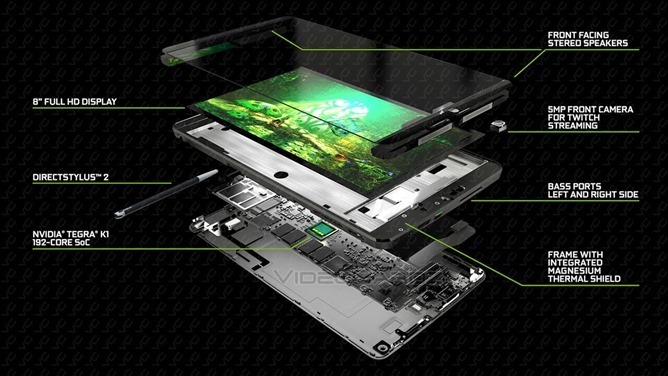 On Friday, the proverbial whole kit and caboodle of NVIDIA Shield Tablet information leaked to the public ahead of the device's seemingly imminent announcement. It goes on sale, allegedly, in less than two weeks, and will cost $299 or $399, depending on which storage model and connectivity (Wi-Fi 16GB, LTE 32GB) you want. It's also the first widely-available device to be released with NVIDIA's Tegra K1 chip, albeit a quad-core A15 CPU and not the upcoming Denver 64-bit dual-core architecture, and that's kind of exciting. Tegra 4 was, to be frank, a rather large flop for NVIDIA, despite being a pretty dang quick piece of hardware (it still blows my mind how fast the original Shield is). This was probably because Tegra 3 was a bit of a dog, and arguably was responsible for getting NVIDIA all but kicked out of the smartphone chipset club. Team Tegra, though, appears to be making a comeback in a big way with K1. Tegra powers Google's reference set top box for Android TV (it's Tegra 4, but still - expect K1 STBs because duh), the K1 64-bit Denver chipset is rumored to be at the heart of the upcoming high-end Nexus tablet Volantis, K1 powers the wildly popular Xiaomi's Mi Pad, there's going to be a K1 Chromebook, and NVIDIA remains a strong choice in the automotive computing market, as well. K1 is also the first NVIDIA mobile processor to share parts with the company's desktop graphics cards, by using the same Kepler GPU core architecture, which could have significant implications for mobile gaming. The Shield Tablet, then, will be a big market test for NVIDIA, and honestly, it seems like they may really have something worth paying attention to here. NVIDIA has been very quick with Android OS updates on the original Shield, and this Shield Tablet looks to be a pretty premium piece of kit, and not just for gamers. So, does this new device - arguably the closest thing to a new Nexus tablet you'll be able to buy for the time being - have your attention and, more importantly, that of your wallet? At $300 for 16GB of storage, some might be hesitant, but if you've got $400 to drop for 32GB and LTE, the Shield Tablet will almost definitely be the most fully-featured tablet on the market under 500 big ones. 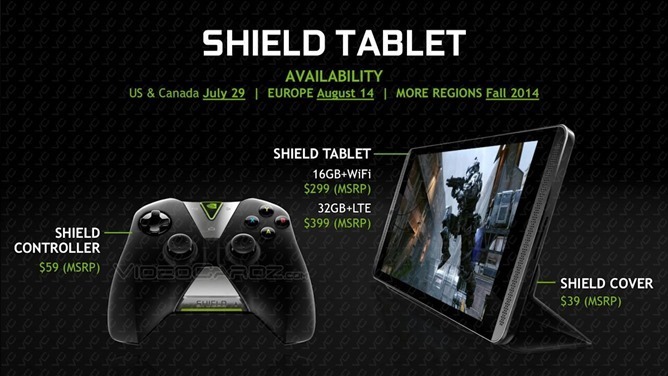 Assuming the leaked information is accurate, will you buy NVIDIA's Shield Tablet? Yes, definitely - I will be buying one (assuming it's available in my country). I am strongly considering buying it. I'm not sure, but maybe. Probably not, though that could change. Definitely not - I will not buy this device.